"The Tattslotto – Saturday Lotto – from the Australian Lottery"
The Tattslotto – Saturday Lotto – is just one of many highly popular lottery games available in the Australian Lotto portfolio. Some of these are particular to a certain state whilst others such as the Australia Saturday Lotto, Oz Lotto and Powerball Australia are nationwide games played right across the country. 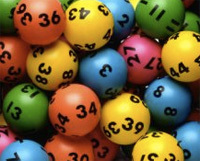 Today – Australian Lotteries are made up of both government state owned and privately owned lottery companies – all of whom are licensed either by the state or territory in which they are based. 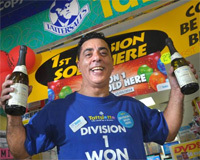 The major Australian Lottery companies operating are the Tatts Group Ltd., plus the state owned New South Wales Lotteries, Lotterywest, Golden Casket and South Australian Lotteries. The national Australia Lotto games are operated jointly by the state run companies along with the independent Tattersalls who work together in partnership, jointly syndicating these games across Australia as joint members of the Australian Lotto Bloc. 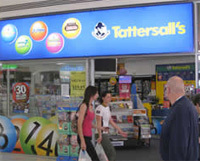 Being a Tattersalls lotto game – the Australia Saturday Lotto is commonly referred to as the Tattslotto. It is a countrywide game that is available to play across the whole of Austraila. 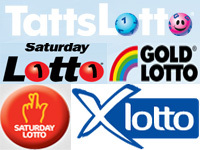 This game is known by 4 different names depending upon the state you are living in – Tattslotto in Victoria, Tasmania, the Australian Capital Territory & the Northern Territories – or Gold Lotto in Queensland – Saturday Lotto in both New South Wales and Western Australia whilst in South Australia it is called the X Lotto. The very first Tattslotto – Saturday Lotto – draw took place way back on June 22nd 1972 and was televised on HSV-7 Melbourne. The Tatts Lotto is a traditional jackpot style draw game and is drawn once a week on a Saturday evening at 9.30 pm AEDT. Also in the Tatts Lotto calendar are several Saturday Lotto draws that take place each year called Superdraws due to their jackpot size and an even bigger draw twice a year called a Megadraw. The Saturday Lotto – Tattslotto – uses what’s known as a 6/45 matrix which means that when playing you need to select 6 main numbers out of a range of numbers from 1 to 45. If you match all 6 of the main numbers drawn then you will be a Tattslotto jackpot winner. After the drawing of the 6 main numbers – 2 extra numbers known as the Supplementary Numbers – are then also drawn increasing the number of ways in which you can win to 6 in total. These 2 additional Supplementary Numbers are used to determine the prize winners on winning levels 2, 5 and 6. The jackpot for the Saturday Lotto starts off at AUS$ 4 MILLION and will rollover – increasing in size each week that it is not won until such time that all 6 main numbers are successfully matched. A “SlikPik” facility is available when playing Tatts Lotto games similar to the “Lucky Dip” or “Easy Pick” options that are used in the UK National Lottery, EuroMillions or most USA Lottery games – which means that you can get the retailer or computer terminal to select all your Tatts Lotto numbers for you if you wish. So – playing the Australian Saturday Lotto couldn’t be easier – just select your own 6 main numbers or let the computer choose them automatically for you with using its random number generator. The minimum number of entries you can play with each time you participate in the Saturday Lotto is 4. Tattslotto – Saturday Lotto – Who Can Play? In the past as with most lottery games around the world – you would have had to be living in the country concerned to actually take part in any of its games. Now however – with the welcome presence of authentic and authorized online lottery ticket sales agents such as OzLotteries & TheLotter – you are able to play lotteries from the comfort of your own home where ever in the world you live. This applies to the Australian Saturday Lotto and any of the other Australian Lottery games available – you can easily pick your Tattslotto numbers online and purchase your tickets whether you are living in Australia or anywhere else around the world. This is excellent news of course if you live outside of Australia and want to play the Australian Saturday Lotto and guarantee your entry into the next drawing or if you just simply wish to enjoy the convenience of being able to buy lottery tickets online. The age limit that applies for purchasing tickets for any of the Australian Lottery games varies slightly – it is 18 years of age in all states apart from Western Australia where it is 16 years. The Saturday Lotto Australia is drawn by Tattersalls every Saturday evening at 9.30pm AEDT and there are various ways you can find out the very latest Tattslotto Results to see if you have become a Saturday Lotto winner. For start – you can watch the Saturday Lotto draw on television on Channel 2 across all Australian states and territories plus they will also be broadcast on numerous radio stations as well as being published in certain newspapers. The latest Saturday Lotto Results will also by displayed on each of the Australian Lotto company websites shortly after each draw. 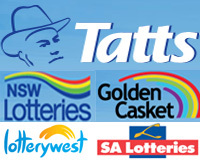 These are tatts.com for Tatts in Victoria, the Northern Territory and Tasmania – lotterywest.wa.gov.au for Lottery West in Western Australia – tatts.com nswlotteries for NSW Lotteries in New South Wales – tatts.com salotteries for SA Lotteries in South Australia and tatts.com golden casket for Queensland's Golden Casket. You can also return to Global Lottery Review whenever you like where you can check the Tatts Lotto Results, X Lotto Results, Gold Lotto Results via our partners – OzLotteries and TheLotter. With the TattsLotto – Saturday Lotto – there are a grand total of 6 different ways in which you can win the lottery. The lottery odds of you winning an Australia Saturday Lotto jackpot prize are 1 in 8.14 million for picking the 6 main winning numbers correctly – for these odds you could be one of the Tattslotto top prize winners. For one of the prizes in the 2nd division and correctly matching 5 of the main lotto numbers plus either 1 or 2 of the Supplementary Numbers – the odds come in at a more favourable 1 in 678,755. The likelihood of winning a 3rd tier prize by matching 5 of the main numbers is 1 in 36,689 and for a prize on the 4th tier for matching 4 main numbers – the odds come right down to 1 in 733. For a prize on the 5th division by matching just 3 of the main winning lottery numbers plus either 1 or 2 of the Supplementary Numbers – you are looking at lottery odds of just 1 in 297. The final 6th division prize winning level offers odds of 1 in 144 for selecting either 1 or 2 of the main winning numbers plus the 2 Supplementary Numbers and the overall odds of you winning any prize on the Tatts Lotto are a highly competitive 1 in 85. The biggest jackpot ever won on the Australia Saturday Lotto (Tattslotto, Gold Lotto, X Lotto) to date has been AUS$ 19 MILLION which was won by 12 lucky winners on April 12th 2008. Aside from this – the largest jackpot won in any of the Australia Lotto group of games has been AUS$ 15 MILLION which was won on the Monday Lotto back in November 1996 by 3 winners. The biggest win to be achieved so far on a single ticket in any of the Australian Lotto range of games has been AUS$ 6 MILLION which was won on January 21st 2009 on the Wednesay Lotto by a woman from Nelson Bay, New South Wales. This also ranks as the biggest Wednesday Lotto win so far. The biggest ever overall Australian Lottery win to date has been a massive AUS$ 111.97 MILLION which was won on the Oz Lotto which and split between 4 winners – 1 from Queensland, 1 from New South Wales and 2 from Victoria – on November 6th 2012. The record for the largest overall jackpot win to date in any of the Australian Lottery games on a single ticket has been an incredible AUS$ 70 MILLION which was won on the Oz Lotto by a syndicate of girls from Runaway Bay, Queensland on December 17th 2013. All Australian lottery prizes including the Saturday Tatts Lotto jackpot are paid out to you in the form of cash. The time limit within which you have to claim your lotto prize varies depending upon which Australian state or territory you are living in and have purchased your lottery ticket in. If you are in Western Australia and have bought your ticket with Lotterywest or played with SA Lotteries in South Australia you will have up to 1 year from the draw date to make your winning claim. If you live in the Northern Territory and have purchased your ticket with Tatts you have up to 3 years to claim your lotto prize. 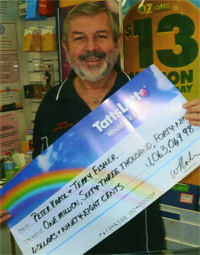 Players of Golden Casket games in Queensland have even longer at up to 7 years maximum to claim their lottery prizes. If you are in either Victoria or Tasmania and play with Tatts there is no time limit at all within which you have to make your claim. In Western Australia you can claim prizes of up to AUS$ 500 from any Lotterywest retailer. If you have won a lottery prize of more than AUS$ 500 – excluding the jackpot – you will need to make your claim from the payout Center in Perth. Jackpot prizes must be claimed from the Perth Headquarters of Lotterywest. In South Australia you can claim a prize of up to AUS$ 500 from any SA Lotteries retailer – and if they have enough funds available maybe even larger prizes of between AUS$ 500 and AUS$ 5,000. Prizes of more than AUS$ 5,000 as well as jackpot wins must be claimed either by post or in person at SA Lotteries Headquarters. In New South Wales wins of up to AUS$ 1,000 can be claimed from any NSW Lotteries retail agent – whereas any prize win of more than AUS$ 1,000 must be claimed by completing a prize claim form and sending it to the NSW Customer Service Dept. In Queensland all prizes of up to AUS$ 1,500 can be claimed from any retailer of Golden Casket games – and if you have won more than AUS$ 1,500 you will need to make your winning prize claim at the Golden Casket Lottery Headquarters in Brisbane. In Victoria, Tasmania or Northern Territory playing with Tatts – you can claim a prize of up to AUS$ 1,500 from any Tatts retailer but you will need to complete and send a claim form to the Tatts office in Melbourne for prizes of more than AUS$ 1,500 in value. If you play lottery online and have purchased your lotto tickets through an online lottery ticket sales company like OzLotteries or TheLotter – you will not have to be concerned with any of these details as their main role is to ensure that you get your winning payment promptly, directly and with the minimum of fuss. Proceeds and revenue from Australian Lottery games – including the Australian Saturday Lotto – benefit the Australian population via a wide variety of good causes right across the country. Each individual state will decide exactly where the money goes according to its own criteria with common organizations to benefit being community groups, charities, public hospitals, sports organizations and arts groups.